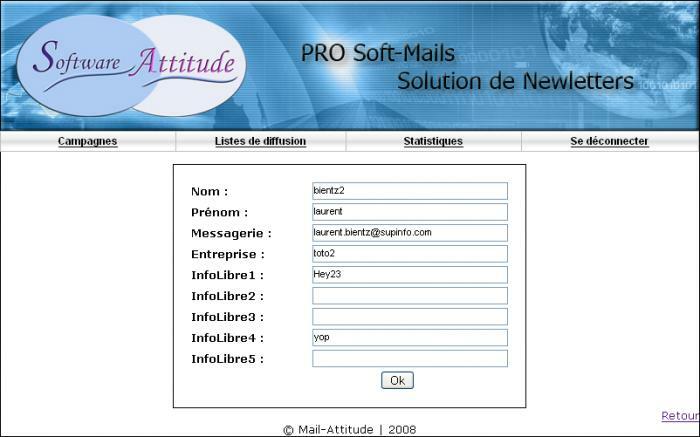 Mail-Attitude is a website that I made with Software-Attitude company, the technical subsidiary of Hardware-Attitude. This subsidiary produced many websites for clients. 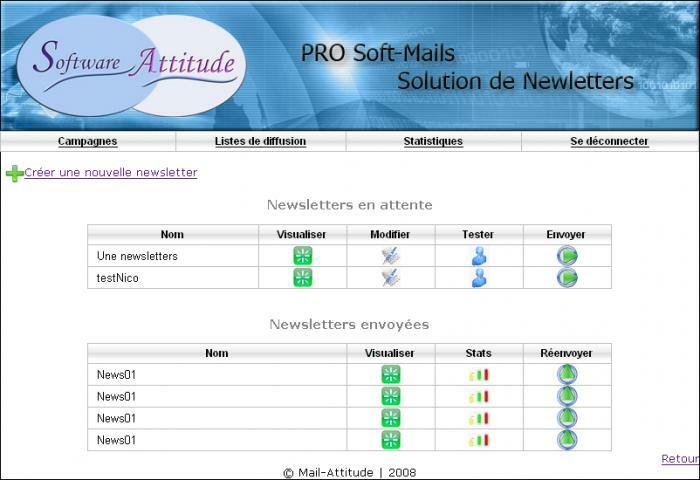 Mail-Attitude is intended to allow them to have a newsletters' system delivered with their website in the packaging. The client can easily manage different campaigns and newsletters, create his address book to fill in mailing lists the senders of the news. At the launch of its newsletters, the customer write the news with a BBCode, it can also generate dynamic fields will be replaced by the respective information to each recipient at the time of shipment. 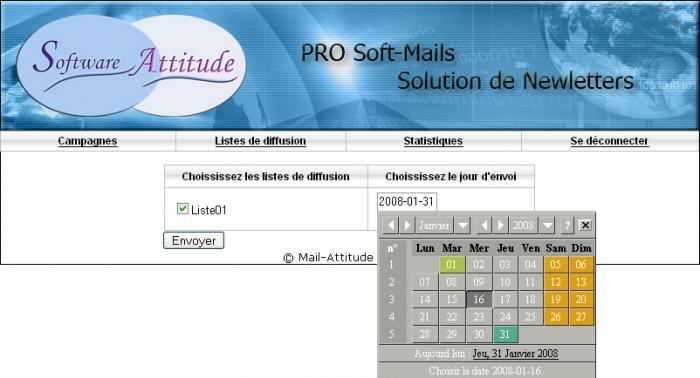 Then, he can choose the mailing lists to which it wants to send its newsletters and plan the date of dispatch. 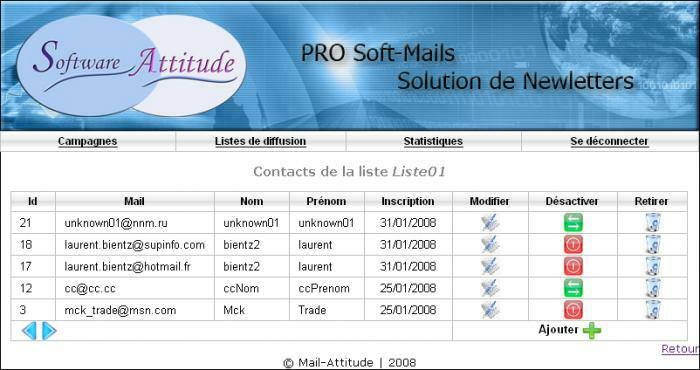 A 1st script is responsible for watching all the emails waiting to connect to a remote SMTP server, and in a synchronized manner, then dynamically parse the contents of mails, and updating statistics. 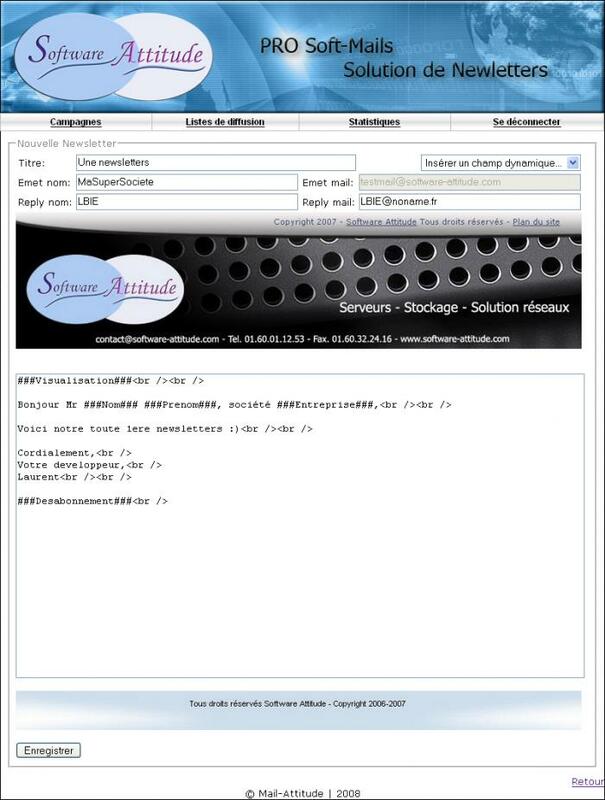 A 2nd script is responsible for connecting to a POP server on a dedicated messaging for mail in error, move on the server and then delete them. A 3rd script analysis one by one in the error messages that have been displaced, in trying to retrieve the header information located at the time of shipment to identify the consignee in error. 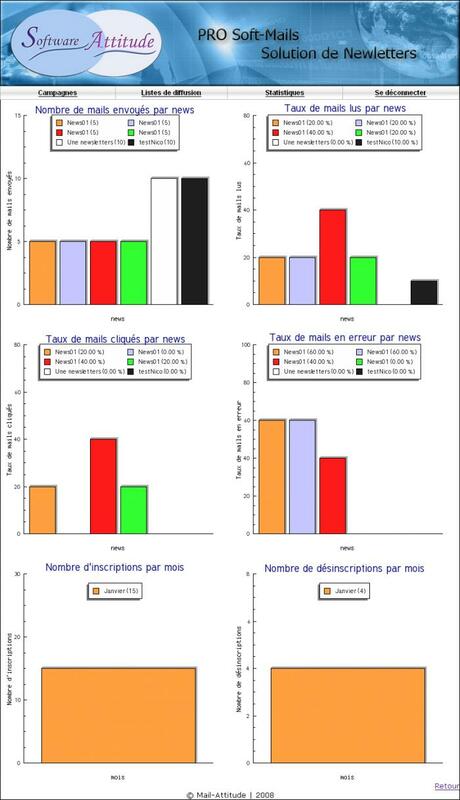 If no recipient is found, the script relies on diagnosis-code in the mail to update the statistics. 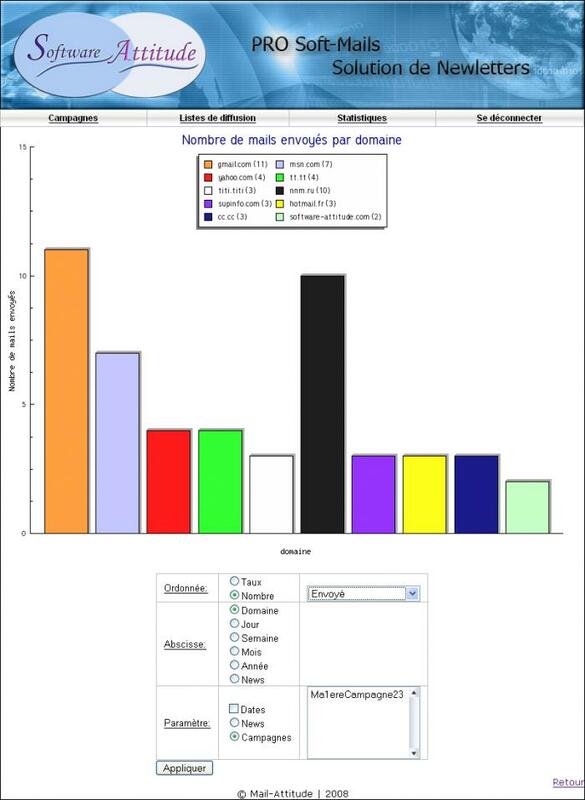 The statistics is a very advanced part of the project. The client can know almost everything about his newsletters (see list above). 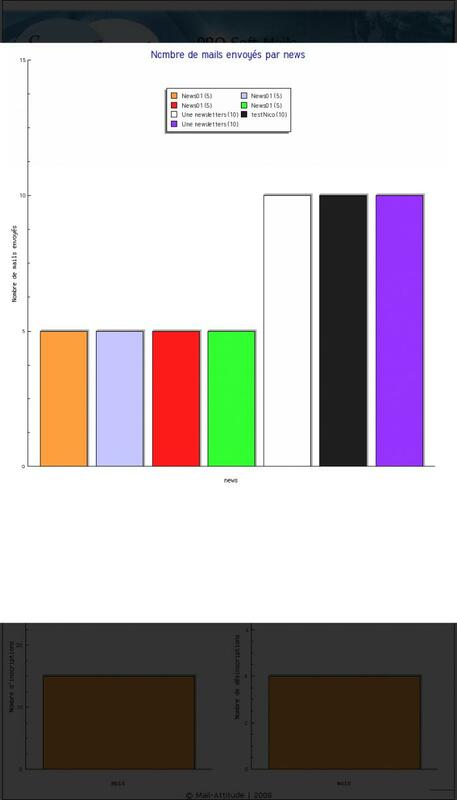 This is the range of possibilities in statistics which gives her power. This project was very rewarding from a human and professional view. It was the 1st time I was prompted to make PHP in company!